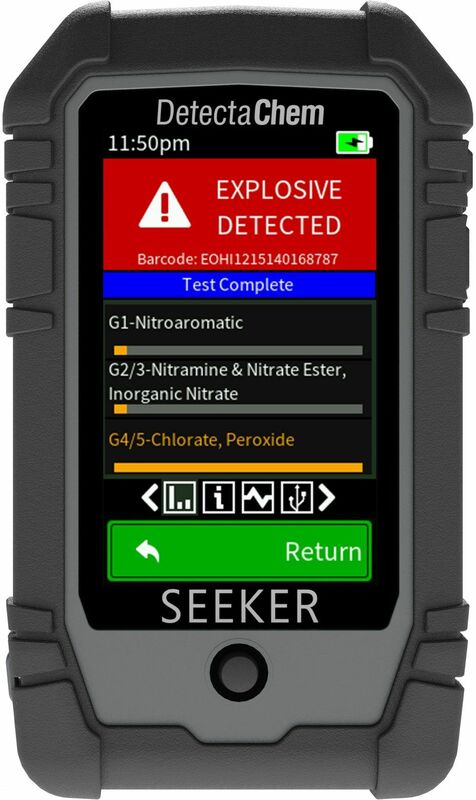 STAFFORD, Texas — DetectaChem is proud to announce their sole source indefinite delivery indefinite quantity (IDIQ) contract award with the U.S. Department of the Navy for their SEEKERe™ EDK (Explosive Detection Kit). DetectaChem is a Texas, USA-based privately-held company and manufacturer of rapidly deployable, handheld, intelligent, and easy-to-operate detection systems deployed globally. DetectaChem products are simple to use and maintain, yet sophisticated in function and design. DetectaChem is proud to be a strong supporter of the U.S. military, law enforcement and all first responders that protect our country. More information at www.DetectaChem.com. Request more product info from DetectaChem.